How to reclass a raster with reclassify grid values in QGIS? I'm new in QGIS and I'm trying to reclass a raster with reclassify grid values. I want to reclassify by table, however fixed table has only 3 rows and I need some more, but button to add is not activated. Do you have any idea about how add more rows? Once you have the classification rules file save it as a txt file. 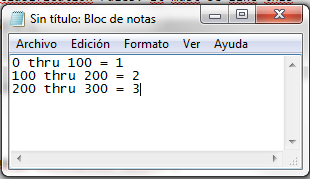 If you are using Windows you can create this file with Notepad. Now type r.reclass in the filter box as shown in the image and choose r.reclass. You must choose the input raster, the file that contains the classification rules and also the output file. That should do it. From 'Processing toolbox', on "Raster terrain analysis"; open "Slope" and then fill up the required parameter (just provide your raster as 'Elevation layer' as input, 'Z factor' Default: 1, after that, you will get slope raster. Open "Show advanced parameter" and on 'Output no data value' let it Default: -9999.0000, on 'Range boundaries' select "min <= value < max" , on 'Use no data when no range matches' let it Default: no, on 'Output data type' which Defines the format of the output raster file, select "Int32". hit run to get the reclassified slope raster. Not the answer you're looking for? 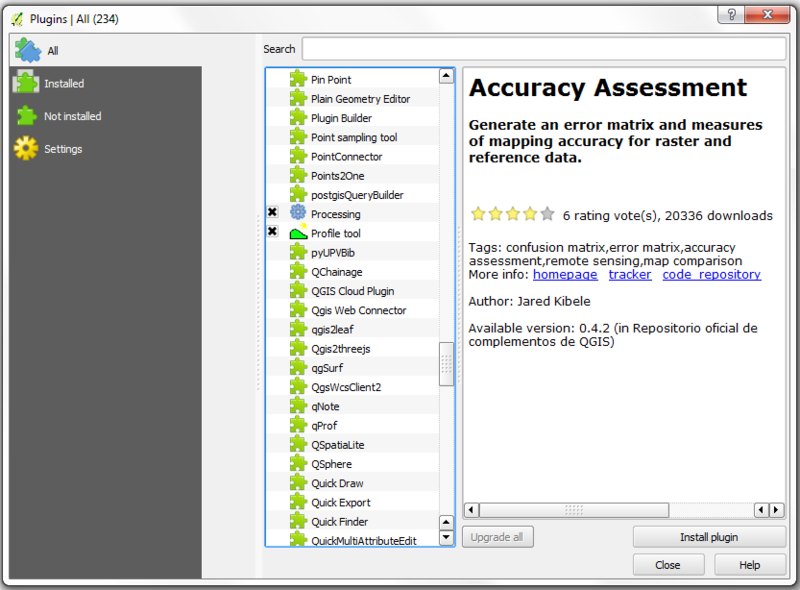 Browse other questions tagged qgis raster table or ask your own question. 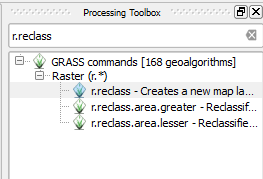 Making land-use raster reclassification in QGIS? 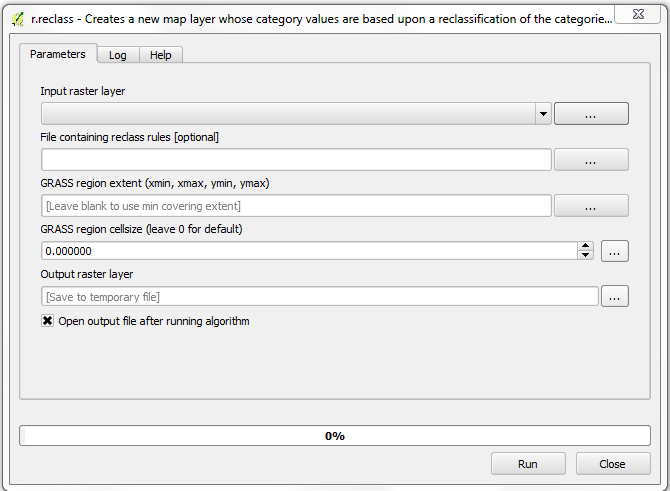 Performing Raster Reclassification in QGIS? Topography: How to convert raster into vector layers? How to reclassify a float raster? Retaining integer values in raster when reclassifying values in QGIS?